The first thing I taste is a light salt with faint touches of sweet and bits of garlic and onion. 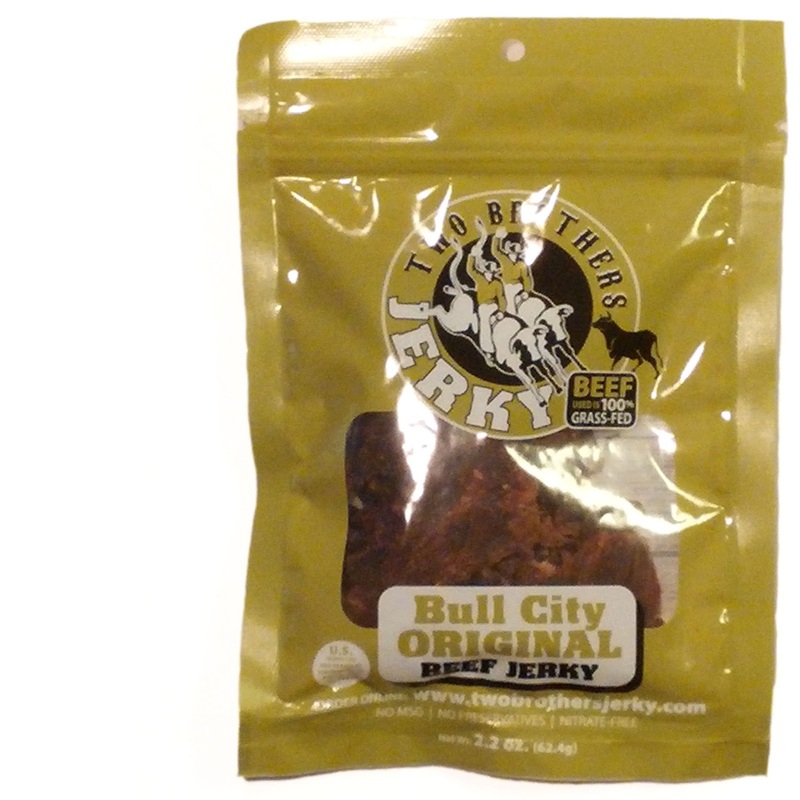 The chewing brings on the natural meat flavors, much like a grilled steak, with a light tanginess, and a faint fruity note. There's also a slightly increased sweet. For being described as capturing the vibrancy and smoky flavor of Durham, North Carolina, I think I can go along with that. There's indeed an element of "vibrancy" in that there's a light tang in the chewing. The smokiness is more subtle, however, but overall the jerky itself takes on a grilled steak character. 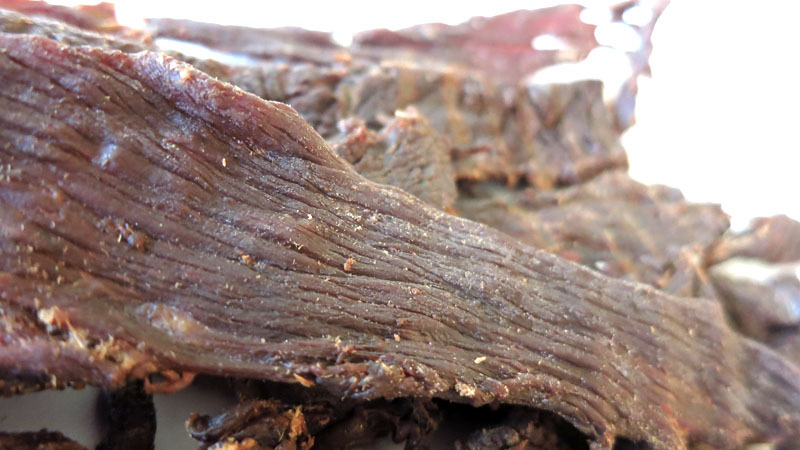 Otherwise, the primary taste profile is that of a grilled steak, but lightly seasoned with salt, garlic, onion, with a touch soy sauce marinade and notes of citrus tang. The meat consistency seems great. It's largely pieces of pure meat with little to no fat visible. It has a meaty character, with a little steak-like chewing, and just a touch chewy. 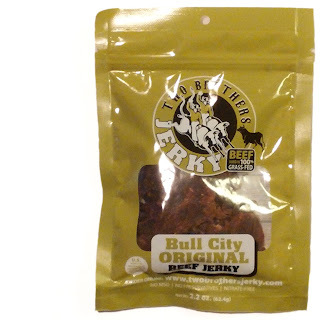 This Bull City Original from Two Brothers Jerky goes beyond the plain, ordinary profiles of other Original brands by delivering a more steak-like experience while keeping the seasonings and marinades down. 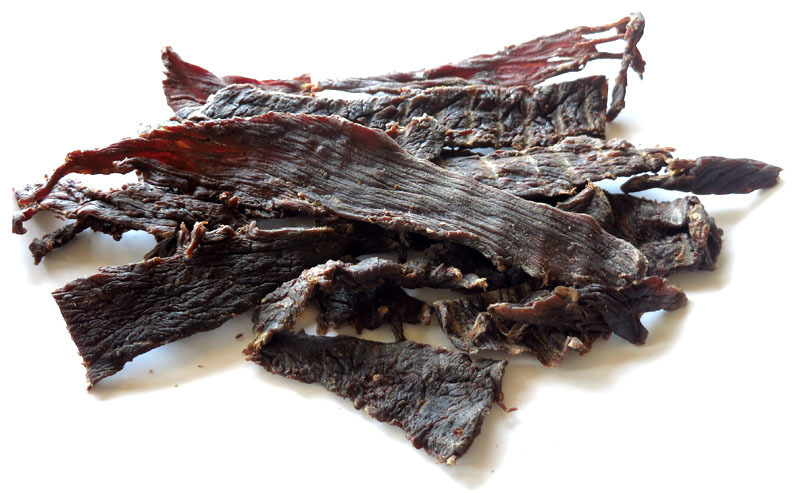 What you get is a great introduction to the Two Brothers style in both taste and texture, and something along the lines of an old fashioned style jerky. I like the steak-like flavor and chewing texture, and I like how the fat and gristle have been trimmed off.